From the moment you launch Fluttabyes and the game’s logo starts dancing to the incredibly cheerful theme tune, it’s almost impossible not to start bobbing your head along with it! 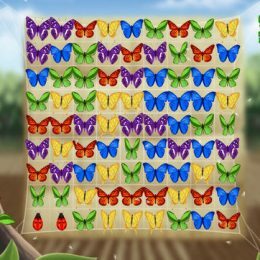 Fluttabyes is a bright, family-friendly, “Connect 4” type game. You must match four or more butterflies of the same colour so that they can fly-away…. 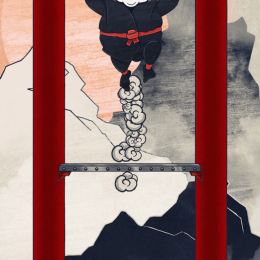 Can you help the world’s fattest ninja scale the Tower of Torment?